of color and texture never fails to surprise and reward the viewer. A solo exhibition featuring the sculptures and woodcuts by Chinese artist Fang Lijun, the recognized leader of the "Cynical Realism" art movement. This generation of artists grew up during the Cultural Revolution, witnessed it's subsequent demise (1977) and faced disillusionment when the mass movement to introduce democracy in China ended violently at Tiananmen Square (1989). Thereafter, artists turned to inwardness (Zhang Xiaogang), sarcasm (Yue MinJun) and irony (Wang Guanyi) to comment on the contradictions of life in China at the end of the 20th Century. Idealism faded. Nevertheless, that was 15 years ago (as of 2006) in a country where a year of change might take 10 years elsewhere. The better artists have deepened their art and moved on. Whereas in Fang's earlier work faces were almost expressionless, his exploration of sculpture, a new medium for him, has given him the opportunity to develop much greater tactility and emotional expression. Fang Lijun has exhibited at MOMA, NYC; Centre Pompidou, Paris; Sao Paulo and Venice Biennales; and every significant exhibition of Contemporary Chinese Art since 1990. 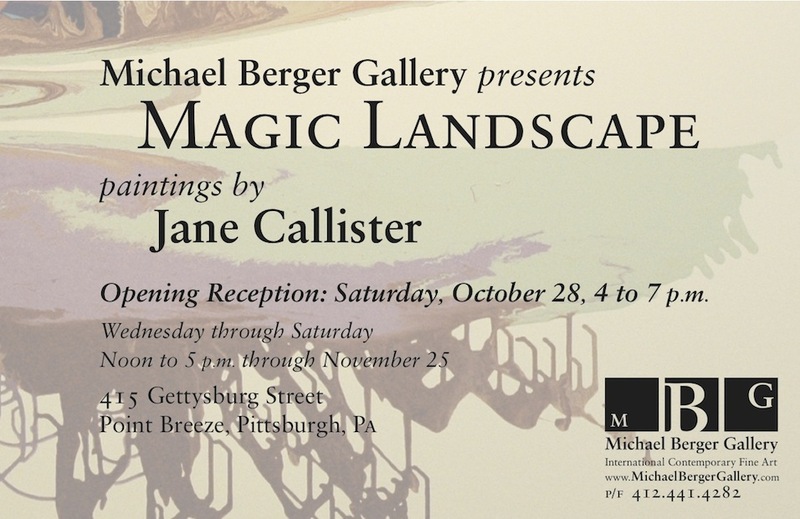 A wonderful exhibition of paintings by the artist Naijun Zhang, who is currently based in West Virginia. A native of China, his work powerfully records and remembers scenes from his homeland in rich and Vermeer-like attention to brushstroke and technique. 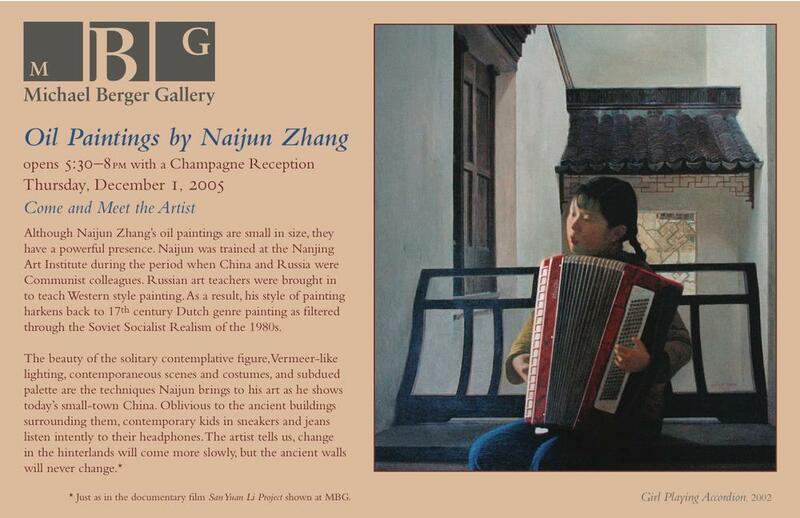 A solo exhibition of paintings by the Chinese artist Yang Qian.